RightMesh is the world’s first software-based, ad hoc mobile mesh networking platform and protocol using blockchain technology and RMESH tokens to power growth. Utilizing mesh network technology to improve connectivity in places with poor infrastructure creates new markets that may help with token adoption. 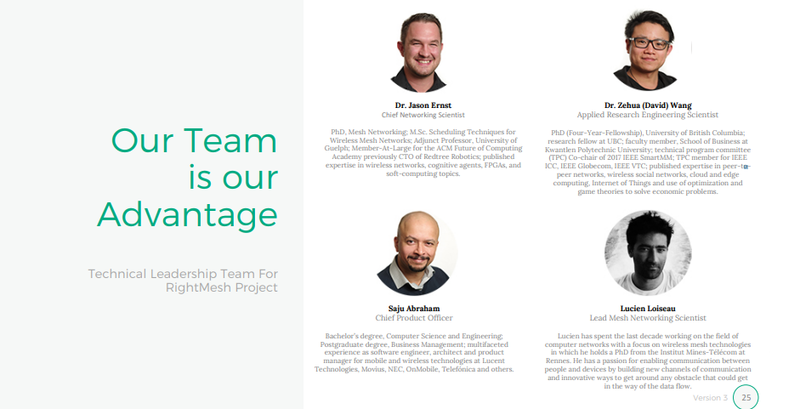 The RightMesh team has the right people for the job, with leadership having the necessary technical expertise to see this project into successful territory. 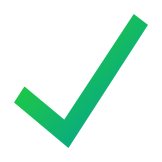 Their technical whitepaper compliments the wide range of software code made available on their GitHub repository. At RightMesh AG, we have created new technology platform and protocol for connecting users in an ad hoc wireless mesh network, and in so doing, we are creating new connectivity options and improved outcomes to billions of unconnected users around the world—all while providing a pathway to a new Internet for all. The fight for Net Neutrality is real. A decentralized mobile mesh networking platform, powered by blockchain technology and tokenization, can put the power of connectivity back into the hands of the people. 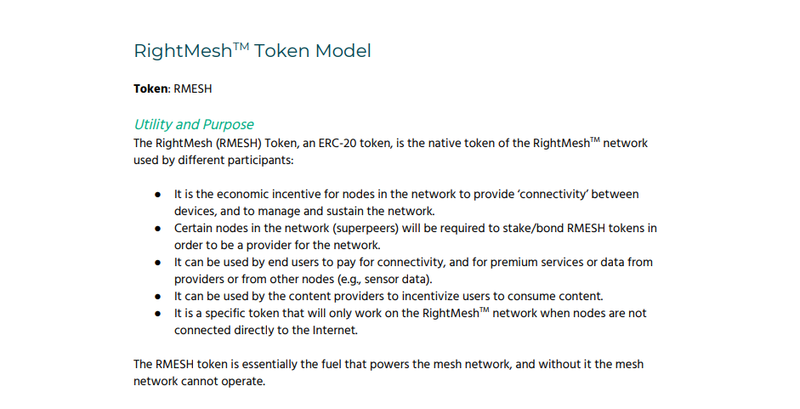 In order for RightMesh to succeed as a payment system, they need a way for users to easily convert tokens to fiat. It's difficult to envision a network of businesses and people in third world countries subjected daily to the effects of token volatility. Technologies that dramatically reduce the cost of providing connectivity while maintaining high levels of reliability and low operational costs will surely introduce improved opportunity for people to work with businesses in places where infrastructure is on the back burner. A combined ability to easily communicate and facilitate transactions will enable effective functional use of their token while increasing value for its ICO investors. As RightMesh aims to improve peer to peer technology, their decentralized vision to bring communication to impoverished areas is a goal that is worthy of a nominal investment. Important hurdles will still need to be overcome, because RightMesh will use Ethereum tokens to power its operations, performance will likely be subdued as they will require a full internet connected node within a mesh network to process transactions. 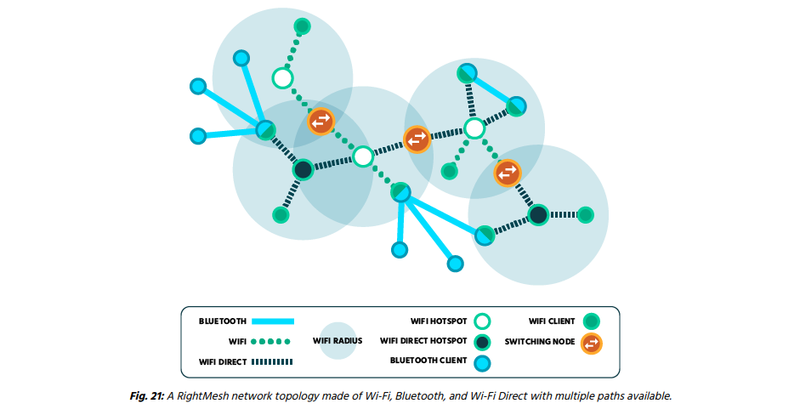 State channel technologies can theoretically work to improve user experience on the mesh network, though this consideration has not directly been made by their team. User incentives to improve platform adoption are not well defined, as a result this ICO may only see profit in a long term scenario. It is critical that RightMesh develops beneficial partnerships with companies that tailor their solution to specific use cases, if they can be successful in this area, then the world may become a better place for many of us. Although the project looks promising, it is difficult for us to make an investment judgement with the information provided.